Join us in our Fight Against Hunger! Rescue Now Services hasn't added a story. 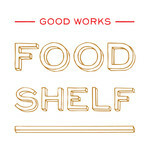 Good Works Food Shelf has been meeting the needs of individuals and families in NE Minneapolis for the last 3 years. During the month of July, the food shelf will particiapte in the Open Your Heart Challenge, where all the monies raised will be proportionally matched up to $5,000. The food shelf distributes fresh produce, meats, canned foods, toiletries and other household products. Just last month, we distributed over 10,000lbs of foods to 655 families. The NE Minneapolis and other surrounding communities rely heavily on the services we provide and count on us to continue to provide these services. Rescue Now Services hasn't posted any updates yet. Rescue Now Services is managing the funds for this campaign.